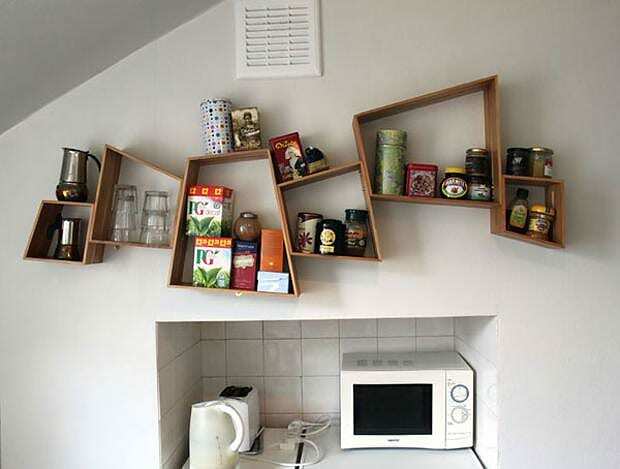 HomeBlogHome DecorSUM Shelves by Peter Marigold for SCP. 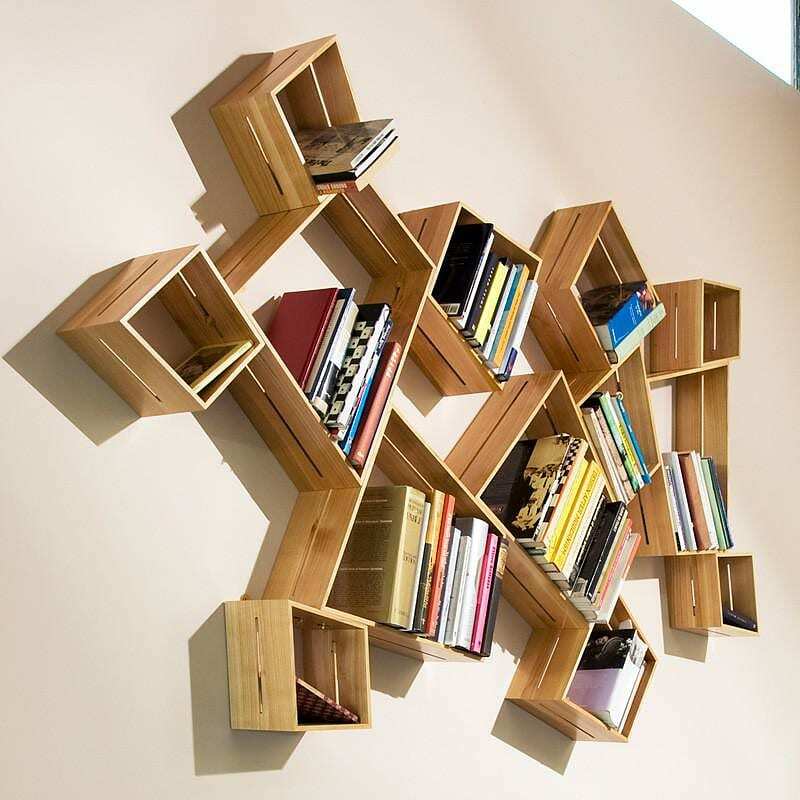 The SUM Shelves are a modular wall mounted asymmetrical shelving system made in solid cherry or walnut with brass fixings. They look stunning and offer unique flexibility. 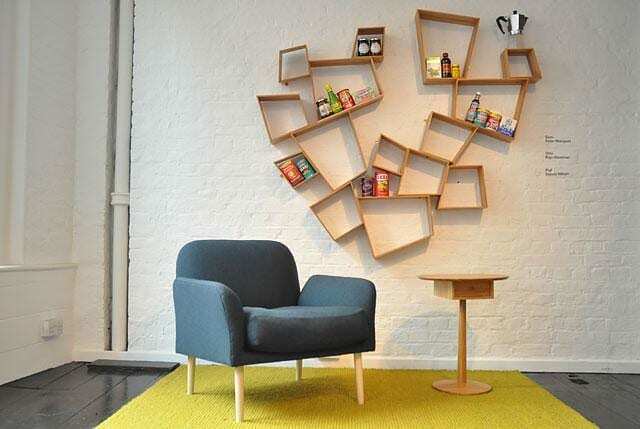 These stylish modular shelving units were designed and developed by Peter Marigold and eventually found their way to the assembly line of British furniture manufacturer SCP. 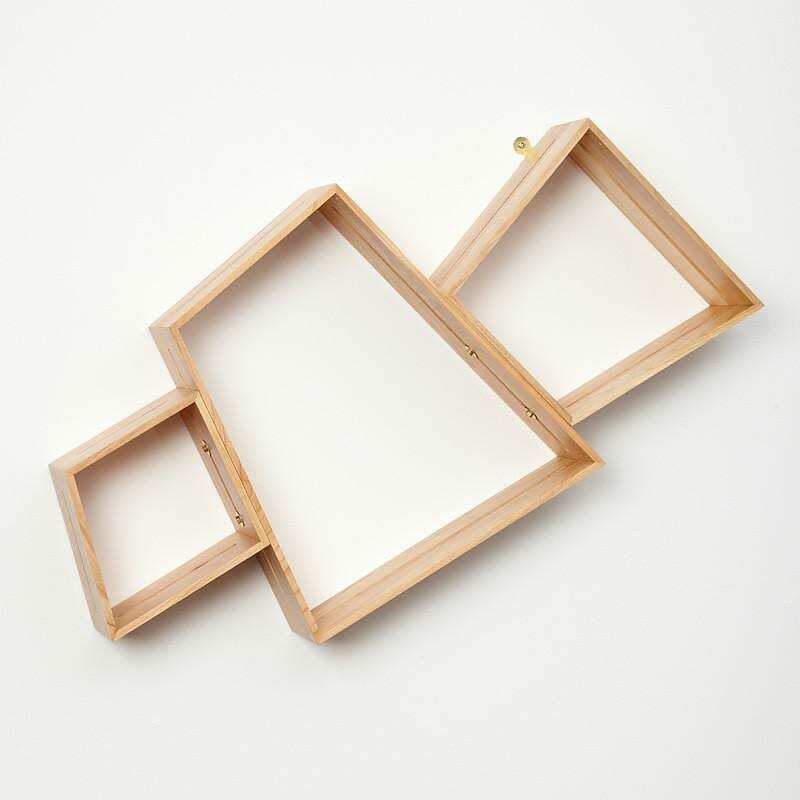 SUM Shelves come as a set of three, with the individual shelves in three sizes, designed to fit together in an infinite number of ways. 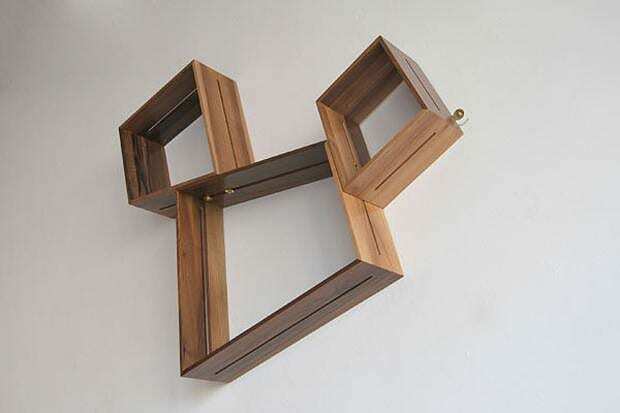 Each sized piece is different in shape, with three of the four sides featuring a groove that allows for flexible configuration. 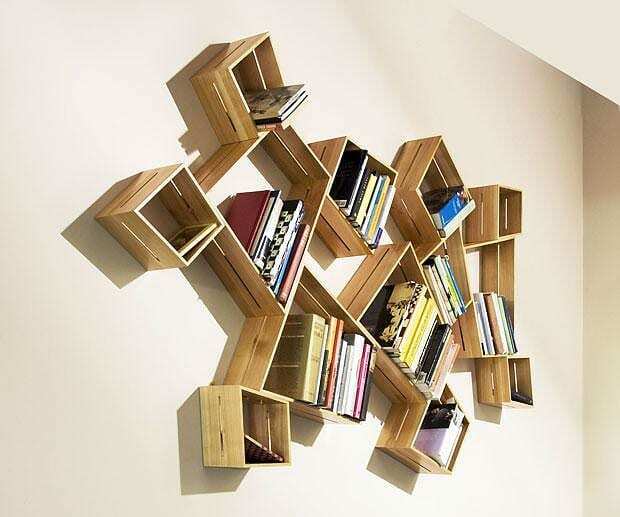 The idea with SUM is that it can be built up to any size, depending on the wall or location it is placed in. 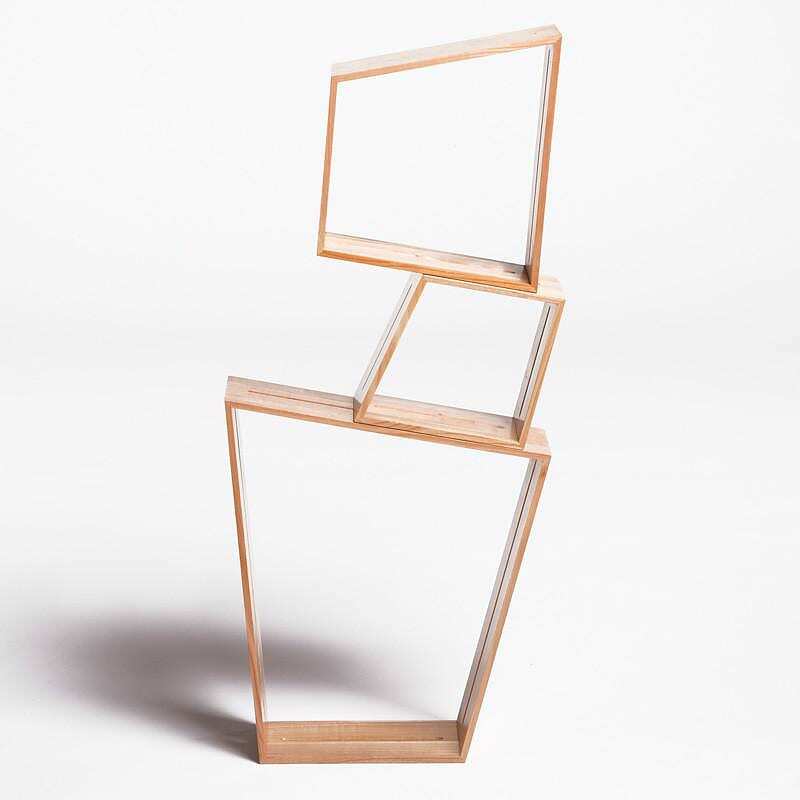 Peter Marigold has created a geometric system that is both playful and bespoke. The finish and quality of SUM is to the highest standard and features a refined joinery detail in the corners. The finish and quality of SUM is to the highest standard and features a refined joinery detail in the corners. 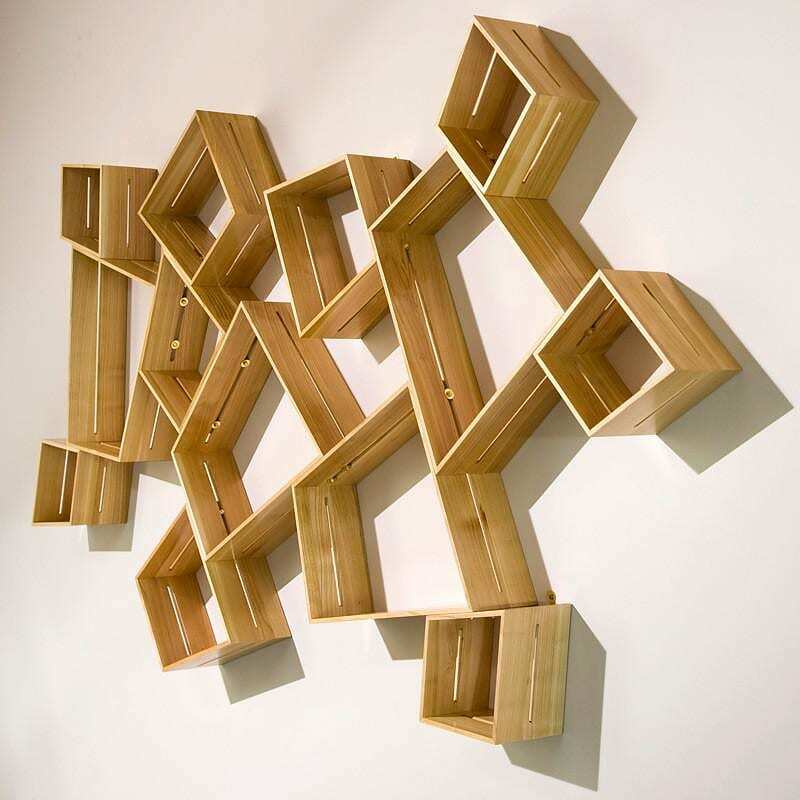 Peter Marigold’s inspiration came out of the idea that splitting a branch any four ways would still create a 360º whole, he initially handcrafted the SUM shelves himself until they were adapted for mass production by SCP. “So far I’ve been making them to order so each one is totally unique. It will be interesting to see how they fare as an industrial product,” says Peter Marigold.